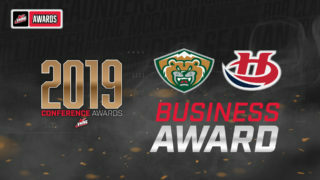 Lethbridge, AB – The Lethbridge Hurricanes return to the ENMAX Centre tonight as they welcome the Prince Albert Raiders at 7:00pm. The Hurricanes (2-2-0-0) have been off since an 8-4 loss last Saturday in Brandon against the Wheat Kings. The ‘Canes, who are ranked third in the country on the CHL Top 10 power rankings, have been led by 17-year-old Dylan Cozens who has 10 points (5g-5a) in four games thus far. Tonight will be the ‘Canes second home game of the year. The Raiders (6-0-0-0) sit atop the WHL standings with 12 points. Prince Albert is one of three WHL teams yet to lose a game this season. The Raiders are coming off a 5-1 win on Wednesday in Medicine Hat over the Tigers in what was the first of a four-game Central Division road trip. Tonight will be the first game of a three-game homestand for the Hurricanes who will play seven of their next nine games at the ENMAX Centre. 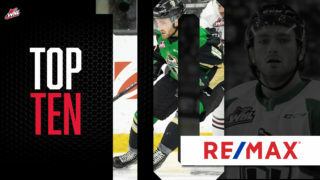 Tickets are available online, by calling 403-329-SEAT (7328) or by visiting the ENMAX Centre or Yates Ticket Centre’s. VS. RAIDERS: Tonight will be the first of four meetings on the season between the Hurricanes and the Raiders. The ‘Canes posted a 1-3-0-0 record against the Raiders last season with their lone victory coming on October 6th, 2017 when the Hurricanes earned a 4-1 win at the ENMAX Centre. Ranked: The Hurricanes were ranked third on the CHL Top 10 Rankings heading into the 2018-2019 regular season. The ‘Canes remain third after the first two weeks of the season. 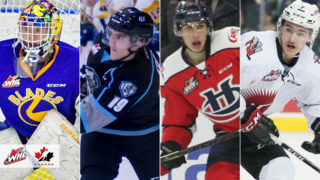 The Hurricanes are the top ranked WHL team, while the Prince Albert Raiders (4th), Edmonton Oil Kings (5th) and Spokane Chiefs (10th) were also ranked. The Victoria Royals and Brandon Wheat Kings were an Honourable Mention. Even Steven: The ‘Canes opened the 2018-2019 regular season with a 2-2-0-0 record after four games. The ‘Canes have earned wins against the Medicine Hat Tigers and Regina Pats while falling to the Tigers and Brandon Wheat Kings. The ‘Canes have started three of the last four years with a 2-2-0-0 record. Eastern Opponents: The ‘Canes are in a stretch where they play five straight games against East Division opponents. The Hurricanes have posted a 1-1-0-0 record thus far in that stretch with a win over the Regina Pats and a loss to the Brandon Wheat Kings. The ‘Canes were 8-14-2-0 against the East Division last year. 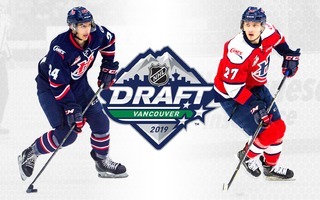 Tradsies: On October 4th, the Hurricanes acquired forward Ty Kolle from the Portland Winterhawks in exchange for a fifth round draft pick in the 2019 WHL Bantam Draft. Kolle, who hails from Kamloops, has appeared in 77 WHL games with the Portland Winterhawks collecting 18 points (7g-11a). 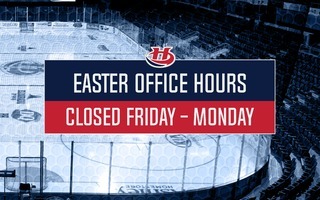 Roster Trimming: Last week, the Hurricanes waived overage defenseman Matthew Stanley who was claimed by the Swift Current Broncos before their traded forward Owen Blocker back to the Broncos for an eighth round draft pick in 2019. The ‘Canes also put import goaltender Akira Schmid on waivers on Oct. 1st. Home Cooking: The Hurricanes begin a stretch where they will play seven of their next nine games at the ENMAX Centre. The ‘Canes have posted an impressive 72-29-6-2 regular season record over the last four seasons. The ‘Canes are 0-1-0-0 so far this year. 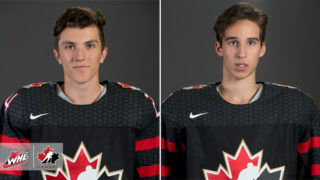 Seeing Double: The Hurricanes have twin brothers on their roster for the first time ever. Adam and Justin Hall were both drafted in the 2016 WHL Bantam Draft. They are the first brother tandem to suit up simultaneously for the Hurricanes since Axel and Albin Blomqvist in 2012-2013. Adam was born before Justin, by just two minutes.